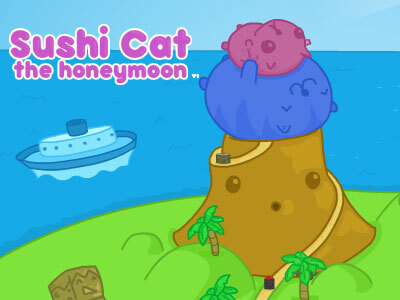 In this amazing game, Sushi Cat and his wife decided to adopt a child – Sushi Jr. – an adorable purple kitten, who is very curious by nature. Sushi Cat and his wife decides one day to take Sushi Jr. to a local fair to ride all the rides and play all the games. Little did they realize what dangers lurked ahead for their newest bundle of joy. While Sushi Cat and his wife had their back turned, someone sneaked up and catnapped their baby! Sushi Cat’s evil nemesis – Bacon Dog, is back! Help Sushi Cat and his wife rescue their baby! 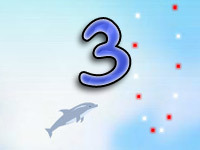 The color scheme of this game uses pastel-like colors. 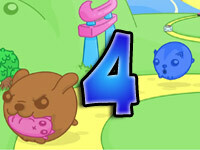 Sushi Cat, His wife (Mrs. Cat), their baby (Sushi Jr.), and the evil nemesis Bacon Dog has returned to seek his revenge on Sushi Cat, by stealing his baby! 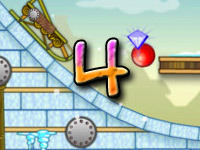 At the start of each round, you have 4 lives. 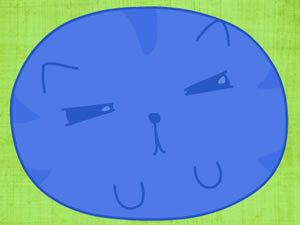 Use your lives wisely, or Sushi Cat may go hungry! 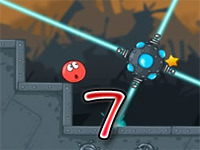 Every 4 levels, you have the option to participate in the bonus round. The bonus rounds vary, but by participating, you can increase your score even more to be able to purchase higher quality items from the gift shop. In addition to the features listed above, you can now send and receive gifts from your Facebook and Twitter friends, challenge them in the Challenge Arena to see who can complete various Challenge games/puzzles the fastest (and earn more score points as a reward! 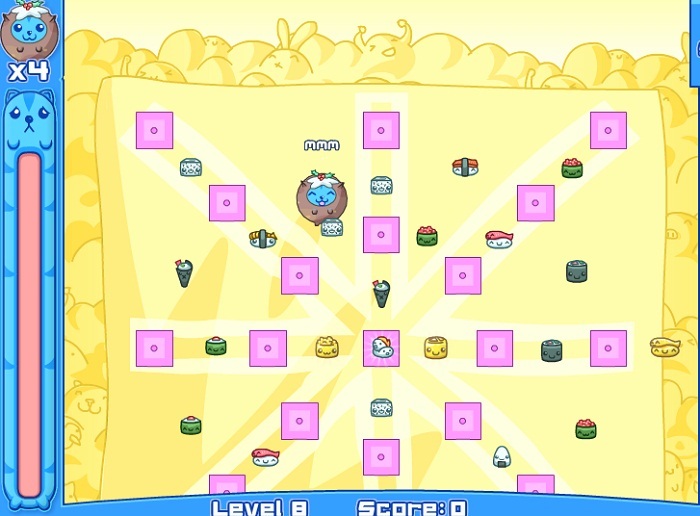 ), and even select whether to play as Sushi Cat or Mrs. Sushi Cat! Here’s a few items you can purchase from the in-game shop. 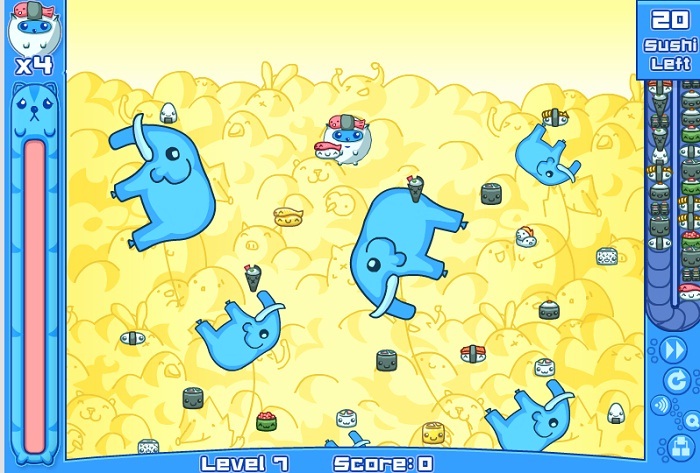 As with all the previous Sushi Cat games – Sushi Cat 4 is appropriate for all ages. It does not have any violence, adult content, or adult language, making it suitable for children as young as 3 or 4 years old.